ERIK Buell Racing has released this picture of the 1190RS that will be raced in the eight-hour Macau GP in China next month. 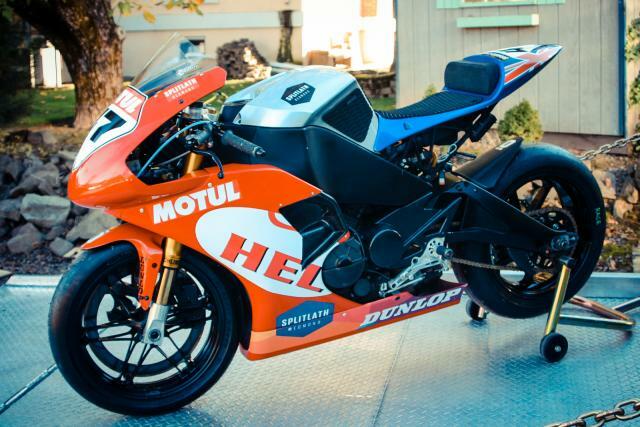 Apparently altered little from the £26,000 road-going version, the race bike was photographed before being shipped to the Splitlath Redmond team that will ride it. A release from EBR says: ‘Powered by a re-engineered Rotax 1190cc twin cylinder engine, the EBR promises much with its short wheelbase, light weight and trademark Erik Buell ingenuity. EBR recently unveiled the 1190RX, essentially a more affordable version of the RS at £11,800. It's the first of three new production street bikes EBR is planning, due to be followed by the SX streetfighter and the AX adventure bike.